The Best Web Design blogs from thousands of top Web Design blogs in our index using search and social metrics. Data will be refreshed once a week. Also check out Web Design Podcasts and Web Design Youtube Channels list for Top videos on Web Design. 2.17 Web Design and Development Blog | Web Design Trends, Tips and More by Shopify Partners. 2.30 Web Design | InstantShift | Web Designers and Developers Daily Resource. 2.39 Designer Blogs - Stylish blog and website designs. Web Design newsletter is a comprehensive summary of the day's most important blog posts and news articles from the best Web Design websites on the web, and delivered to your email inbox each morning. To subscribe, simply provide us with your email address. About Blog Tuts Web Design is home to some of the best web design tutorials and articles around. We publish tutorials that not only produce great results and interfaces, but explain the techniques behind them in a friendly, approachable manner. Facebook fans 144,256. Twitter followers 137,698. NY About Blog TemplateMonster is a project delivering a vast variety of design products for web purposes as well as corporate design items. Delivering the best website templates and design products to the widest audience possible. Facebook fans 173,945. Twitter followers 10,059. WORLD About Blog Awwwards are the awards that recognize and promote the talent and effort of the best developers, designers and web agencies in the world. Our mission is to discover, recognize and promote the talent and effort of web designers, developers and agencies around the world. Facebook fans 188,766. Twitter followers 110,664. Boagworks. 7 Fields Oak. Blandford Forum. Dorset. About Blog Boagworld is a podcast about digital strategy, service design and user experience. It offers practical advice, news, tools, review and interviews with leading figures in the web design community. Covering everything from usability and design to marketing and strategy, this show has something for everything. This award-winning podcast is the longest running web design podcast with over 380 episodes. Facebook fans 2,232. Twitter followers 45,566. San Francisco, CA About Blog Topics related to web design: HTML, CSS, JS, layout, UI, graphics, etc. Facebook fans 1,133,706. Twitter followers 498,300. Chris in MKE Remote Team About Blog Tips, Tricks, and Techniques on using Cascading Style Sheets. CSS-Tricks, a web design community curated by Chris Coyier. Facebook fans 71,418. Twitter followers 329,771. Facebook fans 98,570. Twitter followers 41,233. Alvor, Portugal About Blog Codrops is a web design and development blog that publishes articles and tutorials about the latest web trends, techniques and new possibilities. The team of Codrops is dedicated to provide useful, inspiring and innovative content that is free of charge. Facebook fans 90,809. Twitter followers 172,899. About Blog freshDesignweb is one of the popular web design and web development blog. It provided best WordPress themes, web templates and useful tutorials. Facebook fans 7,168. Twitter followers 2,910. Web About Blog Design and Web Development Magazine. We provide design, web development, premium products, quality freebies. The blog is a great resource for both beginners and advanced designers looking to expand and improve their knowledge. Facebook fans 124,073. Twitter followers 284,117. 17. Web Design and Development Blog | Web Design Trends, Tips and More by Shopify Partners. About Blog A blog about web design and development, creative design inspiration, and updates to the Shopify Partners Program. Facebook fans 2,594,295. Twitter followers 227,415. We're everywhere! About Blog Wix.com is a leading cloud-based web design and development platform with millions of users worldwide. We make it simple for everyone to create a beautiful, professional web presence. No creative limits, no coding skills needed to get your business online. Facebook fans 4,110,168. Twitter followers 409,001. Facebook fans 38. Twitter followers 6. United Kingdom About Blog 1stwebdesigner is a design blog dedicated to bloggers, freelancers, web developers and designers. Topics focus on web design, graphic design, tutorials and inspirational articles. Facebook fans 110,506. Twitter followers 56,307. Vancouver, Canada About Blog Best Website Builder Reviews - So you can pick the perfect website builder for your unique needs. Facebook fans n/a. Twitter followers 556. The Interwebs About Blog A List Apart explores the design, development, and meaning of web content, with a special focus on web standards and best practices. Facebook fans 39,796. Twitter followers 146,899. Facebook fans 25,165. Twitter followers 8,347. 30. Web Design | InstantShift | Web Designers and Developers Daily Resource. Ge About Blog A leading design blog which provides daily resources like useful tips, tutorials, inspirational artworks and tools for web designers and developers. Facebook fans 9,302. Twitter followers 17,554. New York About Blog Web design blog bringing design inspiration, how to design a website, web design tutorials and much more. Facebook fans 1,682. Twitter followers 67,923. About Blog WPKube is a WordPress resource site which focuses on WordPress Themes, plugins, tutorials, news, and Modifications. Facebook fans 5,405. Twitter followers 9,482. San Francisco, California About Blog The 10 Best Design Blog provides a trove of information about the web, print, and digital design industries. Facebook fans 12,429. Twitter followers 30,858. Strasbourg, France About Blog Webdesigner Trends is a site dedicated to creative , professional and passionate about web design . You will find articles on the latest trends in Web design, site selection for your inspiration, resources, tools and more. Facebook fans 11,886. Twitter followers 11,874. London, UK About Blog A web site showcasing daily inspiration source for web designers, illustrators, Twitter addicts and iPhone lovers. Facebook fans 194,886. Twitter followers 51,523. 39. Designer Blogs - Stylish blog and website designs. About Blog Designer Blogs is a blog design studio that specializes in building beautiful blog designs for the Blogger and WordPress platforms. We pride ourselves in having superior customer service and creating designs our clients fall instantly in love with. Facebook fans 4,898. Twitter followers 1,045. Novi Sad About Blog PopArt Studio is a full-service digital agency which provides professional services of web design, web development, graphic design, and internet marketing. Facebook fans 19,267. Twitter followers 1,892. About Blog Freshwebdev is a website that is written for web developers and web designers. We write the latest things on the web. We also collect the best resources from across the web in the world. Facebook fans 157. Twitter followers 661. Seattle, WA About Blog Efelle is an award-winning digital agency based in Seattle, WA USA. We offer a broad range of online marketing services including: web design, web development, ecommerce services, SEO services, email marketing and cloud hosting. About Blog Boston Web Guru Website Design and Digital Marketing. Torrance, CA About Blog Endertech is a full-service web development, web design, software development company in Los Angeles. We provide design, e-commerce, software development, and online marketing services. Facebook fans 144. Twitter followers 722. Philadelphia, PA; Denver, CO About Blog Web Design & SEO Company. We are the group of developers whose aim is creating custom websites, mobile apps & digital marketing to grow brands online. Facebook fans 389. Twitter followers 1,150. United States About Blog Web Design Blog is an Online Resource for Graphic Designers. We include PSD Mockups, Web Fonts, Icons, WordPress Templates and Other Web Design Tools. Facebook fans 1,022. Twitter followers 990. London, England About Blog Pay Per Click-ed is a Digital Marketing and Website Design Agency based in London. Facebook fans 142. Twitter followers 31. About Blog AAN IT Solutions has practical experience in creating reliable Web Development solutions. Ensuring that your business requirements are met without Compromising off your corporate identity. AAN IT Solutions Web Development solutions are totally versatile, working for both complex and simple Website requirements. London About Blog siteInspire is a showcase of the best web design today, highlighting examples of exciting visual and interface design and is a resource of inspiration for your next web design project. Facebook fans 18,252. Twitter followers 33,730. India About Blog Here at Web Designer Pad we are passionate about design and coding and our goal is to share the beautiful and powerful things with lovely peoples like you. We include Web Design Resources such as Photoshop Tutorials, Development tools, freebies and useful tools for graphic/web designers. Facebook fans 1,201. Twitter followers 232. United States About Blog A web design blog covering different topics such as WordPress, Html5, CSS3, jQuery, Seo, code snippets, and web design resources. Facebook fans 2,218. Twitter followers 8,459. Philippines About Blog Naldz Graphics is a Design Blog dedicated to help the Design Community. The Site is regularly showcasing different kinds of Designs,Tutorials, Inspirations, Freebies. and Resources. Facebook fans 36,497. Twitter followers 57,122. Colorado About Blog Followbright is a award winning and highly respected web agency specializing in website consulting, planning, design, and development. Facebook fans 562. Twitter followers 143. About Blog Beginners web design tutorial. Learn modern HTML, CSS and HTML 5 based web design. A blog by Stefan Mischook. Facebook fans 1,513. Twitter followers 1,239. About Blog This is Kyle J Larson's Mobile Product Design & Web Design Blog. About Blog Media 2 Work is an online blog made up of 20 authors in the UK and the states. Our writers are made up of web agency owners, marketing managers, developers and digital marketers. All of which aim to create content for the beginners in the industry, making novice creators better by the article. We focus on website design, website development, graphic design, and photography. We have been covering these subjects for over 2 years, providing short and easy to follow articles to the community. 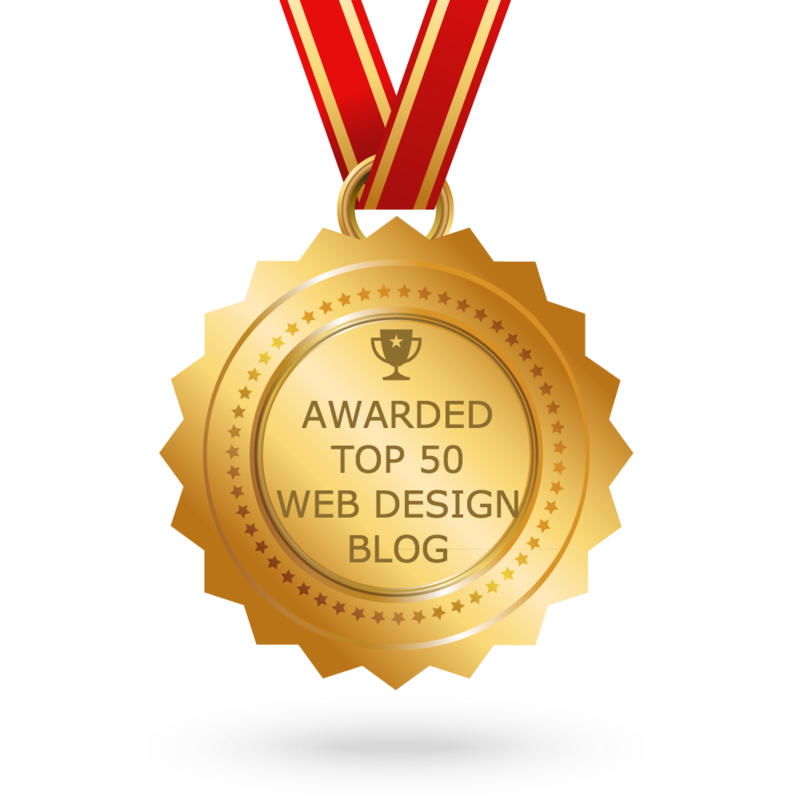 CONGRATULATIONS to every blogger that has made this Top Web Design blogs list! This is the most comprehensive list of best Web Design blogs on the internet and I’m honoured to have you as part of this! I personally give you a high-five and want to thank you for your contribution to this world.